With the wave of startups and liberal workplaces, even professional networking is being refashioned. And over time we’ve observed LinkedIn, the biggest known professional social network, getting a whiff of the new trends. It recently introduced Snapchat-like filters for images and video ads streams to make networking for jobs and your work more interactive and is now adding a new feature to make conversations more enjoyable. 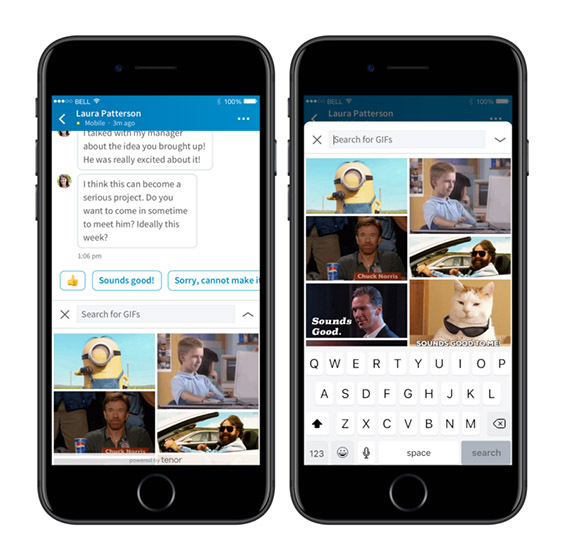 LinkedIn, in partnership with GIF provider Tenor, has added support for GIFs in the messaging section. Users can easily search for GIFs directly while messaging peers and the feature is available on both the website as well as on LinkedIn’s mobile apps. 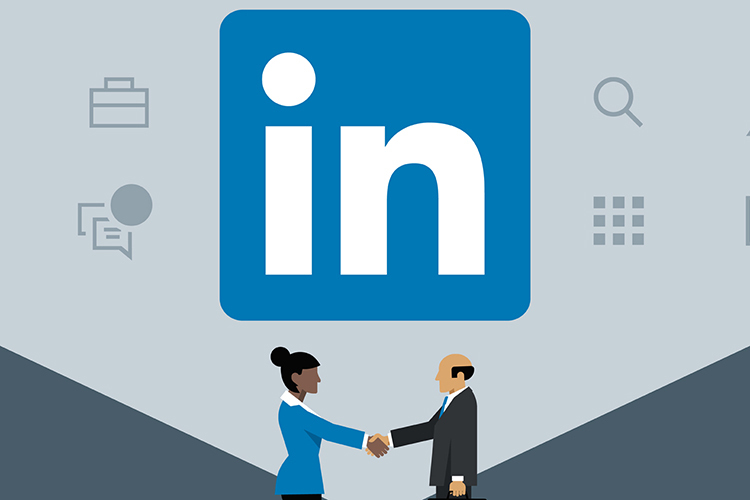 LinkedIn Messaging will have a “custom stream” of GIFs, notes The Verge, which will show animated images based on which ones are being used the most on the platform. Tenor, which was recently acquired by Google for integration of GIFs in Google Image Search and direct support for Gboard, announced that the decision of adding GIF support to LinkedIn was motivated by the fact that messages on the professional social media have surged 60 percent over the last one year and adding GIF support will help in the creation of “genuine connections with professional contacts” – that is, if you can avoid embarrassing yourself or making conversations awkward by slapping a wrong GIF; we highly recommend not using a GIF when asked about the status of your current assignment by your boss. The GIF button should be easy to spot in the messaging window. Currently, the option is available to nearly 50 percent of the users and will be rolling out to all professionals on the network worldwide in the coming weeks. I’m not sure how this will help you improve your professional dialogues, but the feature is sure set to help you find make LinkedIn more fun.